As the year draws to a close it’s time to reflect on what’s happend over the past 12 months, reflects on what we did well, what we could do better and what we need to do in the next year in order to continue our upward productivity trend. Over at Self Development Secrects they’ve put together a fantastic post that surveyed 176 CEO’s, business owners, editors, bloggers, partners and more to look at what they considered “Success” to be and how best to achieve it – and I was honoured to be asked to take part in the survey. A whopping 97% of people set defined goals in order to achieve success. I’m really happy that so many people see goals as being an important part of a path to success. If you’re not sure how to set goals, or have tried to set goals in the past and haven’t quite managed to achieve them it could be that you’re not using your goals in the right way. There’s a set of “rules” to achieving your goals called the “S.M.A.R.T” system which you can read more about in the article below. Once you have your goals in place, you need to make sure that you check in on your progress regularly. The Self Development Secret’s survey showed that most people check in on their goals monthly, followed by weekly and then daily. The frequency that you check your goals will depend on the goals themselves. For example, if I were to set a goal that stated “I want to finish taking my Coaching Course by March 2018” I would need to check in regularly to see what progress I was making – yearly wouldn’t be soon enough (obviously), and I think that monthly would leave too long a gap between check-ins to make sure I was progressing fast enough so we’d need to check in on this goal weekly. Take a look at your goals and try to assign a “check-in” level to each of them – some may even need to be as often as daily. If you want something to help you track your goals I’ve put together a Goal and Habit Tracker you can download. It is set up for daily goal tracking but you could easily swap the “days” for “weeks” or “months”. I’ve written details instructions on how to use the tracker and you can read those and grab your free goal tracking download here. If you're starting a new habit for the New Year - or at any point over the course of the next 12 months then you can use this free download to keep track of your progress so you stay on track and achieve your goals. 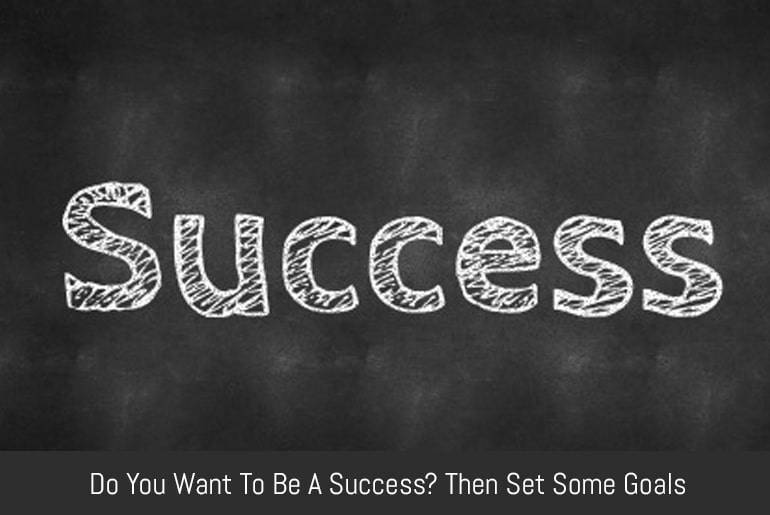 Don’t think that you need to be successfull all of the time, the <a href=https://www.selfdevelopmentsecrets.com/success-principles-roundup/>Self Development Secret’s survey showed that most people have failed 5 times (if not more) at achieving their goals. A lot of the time we let fauliure put us off attempting something a second time, believing that we’re doomed to repeat the outcome. *Learn from your failure and use that to form the basis of your next success. Those 6% of people in the survey who day they have never failed just look at failure a different way from the rest of us – or only try things they know they will succeed at. None of us are perfect – and we shouldn’t pretend to be either. Don’t forget to check out the Self Development Secrets “Success Principles” Article for some wonderful tips and motivation on goal setting from a whole host of successful people – and me!